Last year, I made an Advent calendar but was not too thrilled with it. Plus it was not very practical as I wanted it to be. I decided to do a simpler one this year and make it a bit more interactive. Our kids are still too young to be able to understand dates so a visual of some sort makes the most practical sense to help them understand. Our first daughter in particular, loves the idea of a count down calendar. In fact, she is using a small chalkboard visual to count down to her birthday which is Tuesday. It usually falls right after Thanksgiving. Basically, she’s been counting down to some type of holiday or event since October. My original plan for this new one was very much like this that I saw in a magazine a few years ago. I ended up deciding against it for this option. I used what I had around the house to create a different idea. Personally, I’m not sure if it is my favorite idea but it is more interactive and the kids seem to be loving it already even though we have not officially started it yet. I used sticks from the outside and specked them with white paint. Our 5 year old thought it gave the tree a snow-ish effect. Kids have such great imagination! The sticks are not too thick because I need them to fit into this bottle. Then days 1 through 24 were written on gold ornaments with a Sharpie. The kids picked glitter and plain ornaments so I interchanged them by starting with a plain one, then a glitter, then plain again and made a pattern. We picked out a red ornament to represent Christmas day. The marker on ornaments technique is something I learned back in college. We used to have “campus parents” and I remember one year when a group of us students went to our friends campus parent’s home for a Christmas party. While we were there, we helped decorate the tree and they had each of us choose an ornament to write our names. It’s a simple technique but not one I tend to think about when it comes to decorating for Christmas. Although, the Sharpie worked better on the smoother ornaments. The glitter was a bit trickier to write on so I ended up using a black crayon to write on its rougher surface. All the written ornaments will be in a basket right beside the tree so the kids could find them. To avoid the fight over who gets to put up when, we’ll just have them take a turn each day. After I made the tree, we hung all the ornaments to see how it would look. At that point, I wondered if we should leave them up and have the kids take out one down each day until there were no more. Once I gave it more thought, I decided to stick with the original plan and leave the tree bare so they can fill it each day rather than the other way around. It took a bit of thinking before I concluded how I would connect the tree with activities and small gifts. I ended up using a board to display gift boxes to represent gift days and fabric bags to represent activity days. 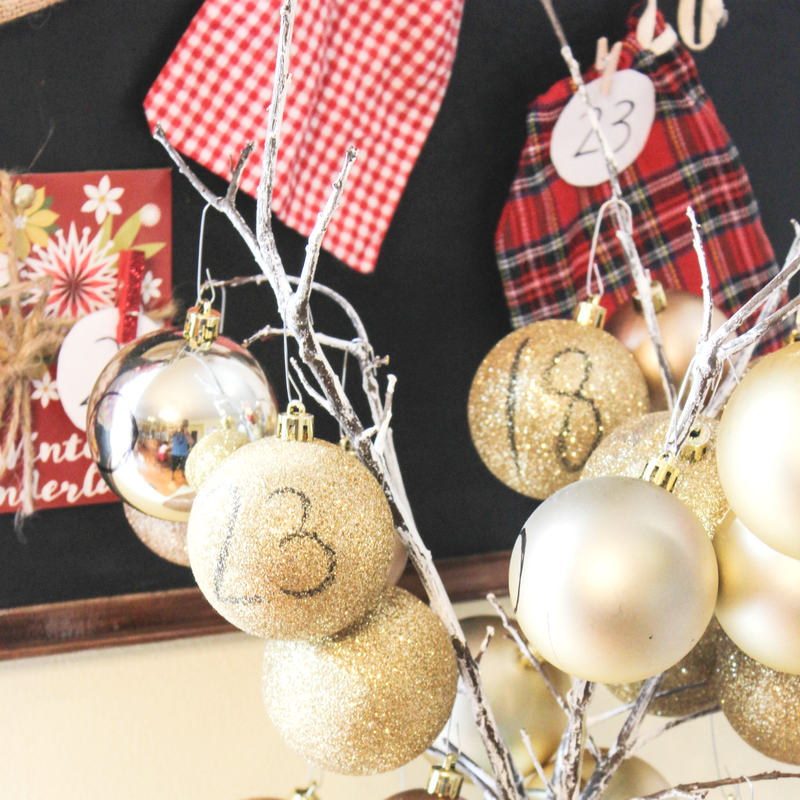 Each box has a coordinating number with specific coordinating ornaments for when they will open a gift. For example, day 5 on the ornament coordinates with day 5 on a gift box letting us know that it will be time to open a gift. The little bags have numbers that coordinate with the ornaments too. Each bag has a tag with a picture of a chosen activity. That will let us know what activity we will do on the days chosen (they are still learning to read so pictures help). Day one for example has a picture of a Christmas book meaning we will read a Christmas story or a few stories. Day 12 has a picture with a hot cocoa mug and a candy cane letting us know it will be time to make hot cocoa. Some days in between I left open for anything random. Because we all know how busy the season could become. Putting up the ornaments may be just enough on certain days. And of course, I could not leave out the most important part – our bible study. Yes, there are gifts, activities and all the magic of the season. But it’s great to teach the kiddos the real reason of Christmas. Smaller kids learn best through doing activities. We’ll go through these worksheets that I created a couple years ago. 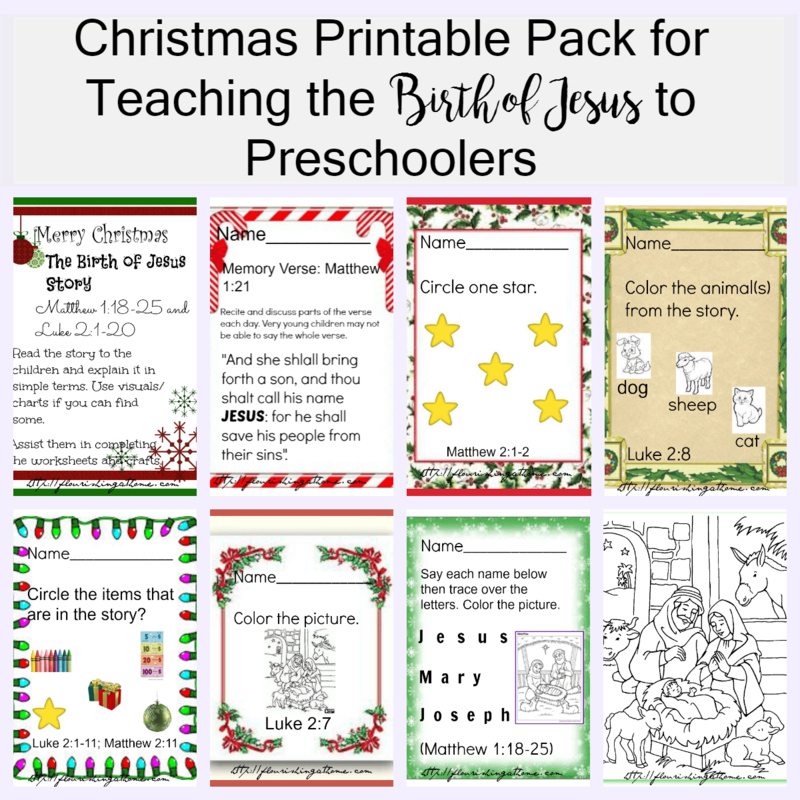 They are great for Kindergartners and pre-schoolers. My kids enjoyed these last year; one had just turned five and the other was about to turn three. 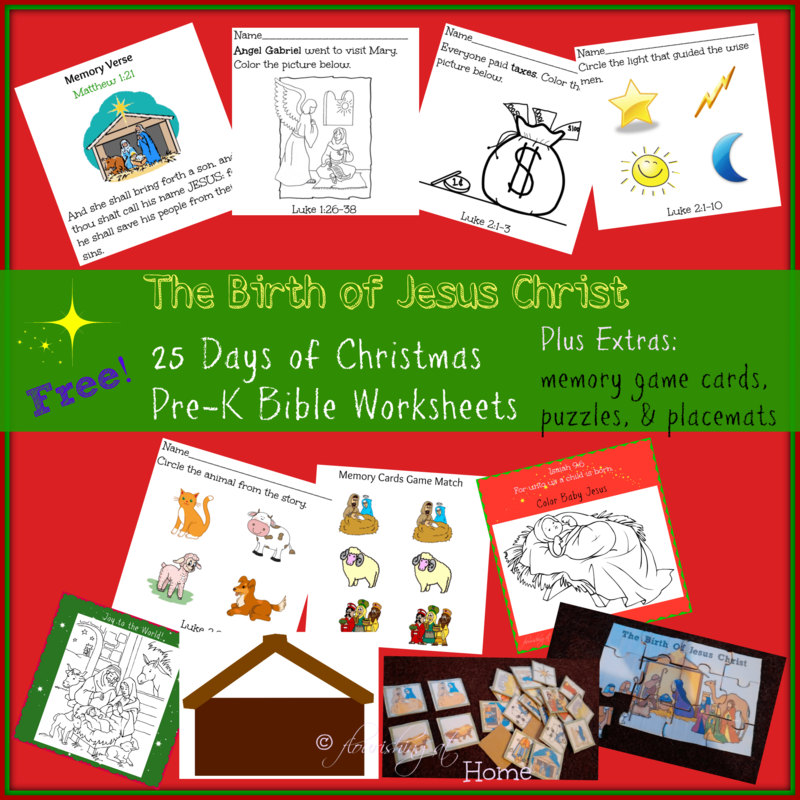 There is an activity sheet for each day from Dec 1 through Christmas day. Find this set here – it’s very interactive. I did not include these in the Advent calendar activities because it is just something we’ll do. Some days we may complete one worksheet completed and other days two if they are motivated and want to get ahead. It all depends on how well everyone co-operates and what’s on the agenda. We’ll just do our best. Last year, they wanted to do a few of them each day and we did on some days. So even if we got nothing done on a day, then we had already worked ahead anyway. This is another one I created a few years ago. It was the first Christmas pack like this that I created. It’s one of my most pinned printables during the holidays. Our first daughter was only around 2 when I created it and seemed to be very advanced. Amazingly, she was able to answer the simple questions and do the simple activities (with some prompts, of course). It’s only a few activities because they were made with the smallest of kids in mind and they will only cover a few days. Note: This pack may be more suitable for kids around 3 to 4 years old. It all depends on how much you think the kids could understand. When I saw how much this set is pinned during each Fall and leading up to Christmas, I thought of redoing it and adding more activities for smaller kids. But the more I look at the activities, the more I love their simplicity. Find them here to download. So the Advent calendar is really not complicated. It would have been nice to have something like stickers to add to the ornaments for gifts. I did not have any and figured we could just look at the board to see if there is a coordinating number. What do you think of this one? I know there are so many beautiful well made ones out there. But I just could not decide and had to get going with something simple. 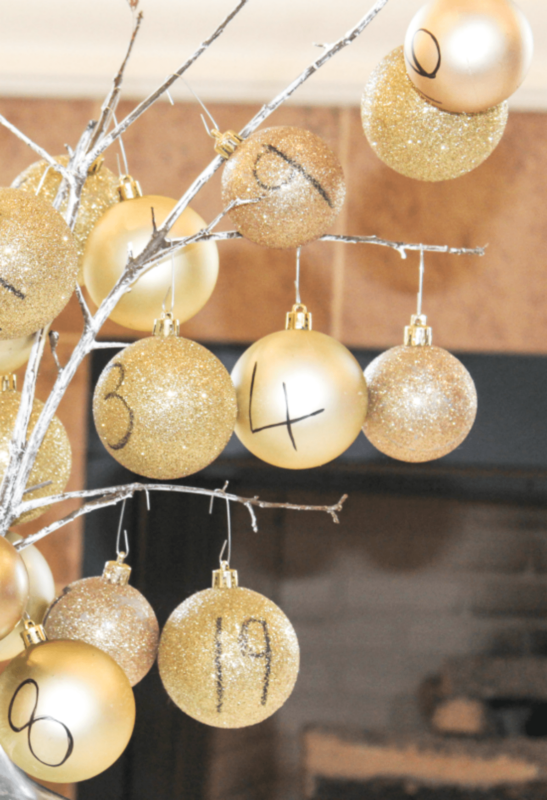 Your advent Christmas countdown is so original and super cute. When my kids were little, I bought a little tree from Avon. It spun around and played music. It had 24 little boxes under the tree to hold the mini ornaments. I still have that tree. It stopped turning years ago and I replaced the battery in the lights on the tree and it worked for a day. LOL The grandkids have fun picking the ornaments each year. I don’t do the gifts, but your way is so clever and such a fun time for the kids. This is such a cute idea Zan and how amazing that your kids helped you put it together. This is truly what the season is about, spending time with your family! Thanks so much for sharing! 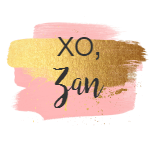 What a great post, Zan!! We already have our Advent Calendar, but I’d love to incorporate some of these activities into our homeschool time. I LOVE the idea of speckling branches with white paint. That is a really smart idea!! I love your little pre-Christmas space. We don’t have yet an advent calendar, and we are only looking to do something cute and simple and this is just the type of thing no fuss and children can join and feel included. It’s absolutely adorable Zan!! I love that there’s a corresponding activity to do each day! So fun and truly the purpose of the season – spending time together as a family. I do Truth in the Tinsel ornaments with my kids for that purpose, get to spend meaningful time together and also remember it’s Jesus’ birthday! Zan, this is an adorable idea.I love the use of twigs and ornaments. We always had German Advent Calendars growing up, and of course so did my kids. A Christmas countdown is a wonderful tradition. Enjoy and have fun. 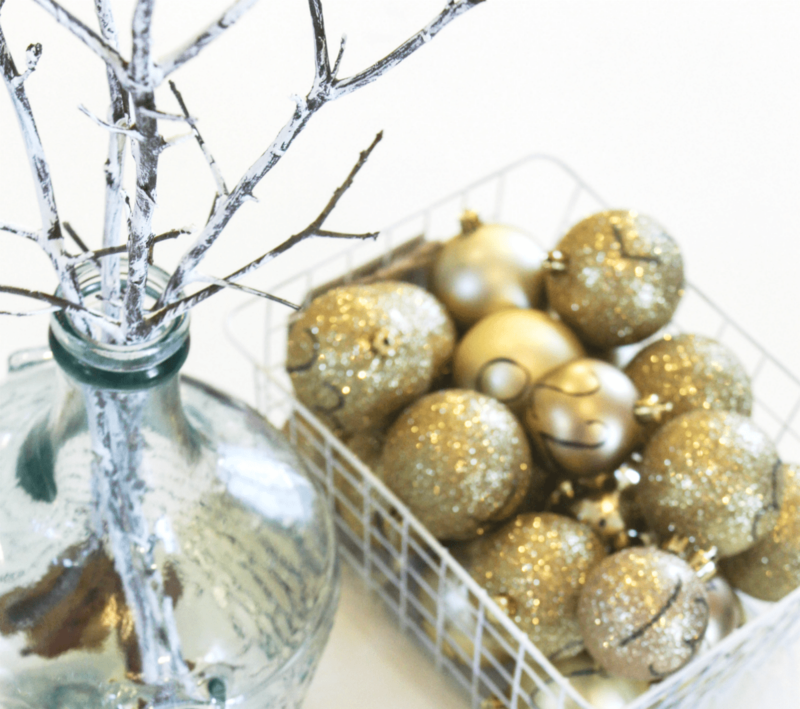 I love the simplicity of the twigs and ornaments! And you put so much thought into the gifts and activities and printables – your kiddos must love this! 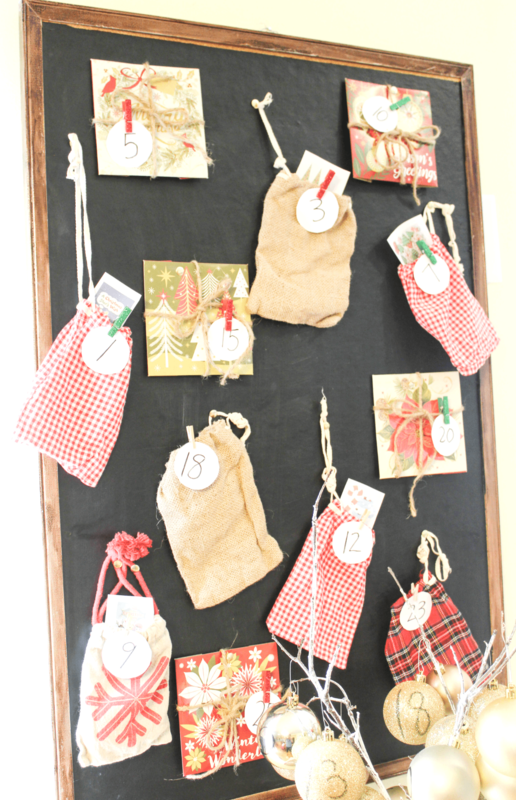 I love the idea of this advent calendar! And what a great activity with your kids!